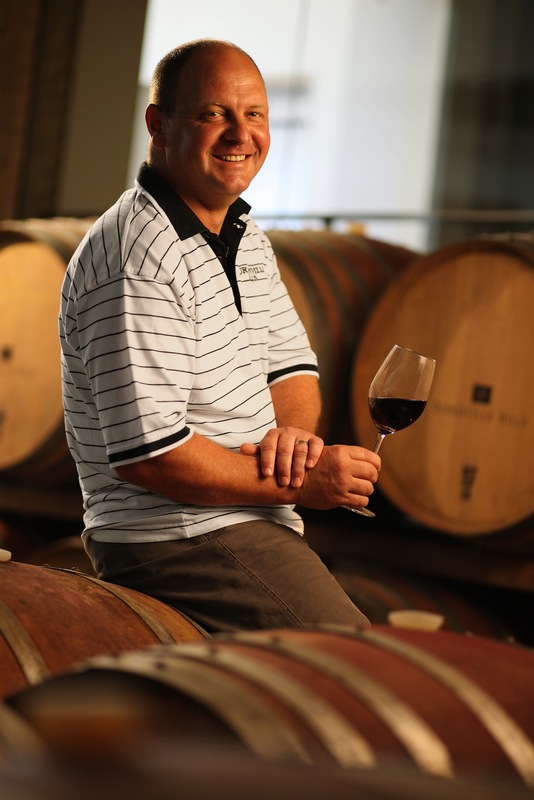 Martin Moore, the founding Cellarmaster of Durbanville Hills launched hi The Collector’s Reserve towards the end of last year. A range of varietal wines using the best of the grape from the growers who provide their grapes to Durbanville Hills. 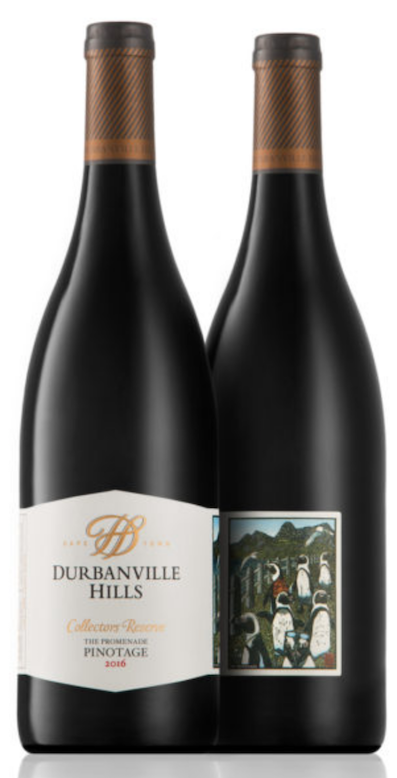 The wines are all named for a Cape Town place like Durbanville Hills Collector’s Reserve The Promenade Pinotage 2016, which is named for the Sea Point Promenade so popular with residents of the Atlantic Coast. Innovative labels for the whole range are designed and painted by well-known Cape Town artist, Theo Vorster. The grapes for the Durbanville Hills Collector’s Reserve The Promenade Pinotage 2016 come from a single 17 year old vineyards. The soils are the yellow Clovelly and red Hutton, which both have a fair amount of clay content for good water retention. Once ripe, testing takes place in the vineyard to assess skin and pip ripeness, so when picked at ideal ripeness there is no ‘greenness’ present in either skin, flesh or pip. Hand harvested, the grapes are taken to the cellar where they are destalked, sorted crushed and taken to a tank for overnight settling. Next day up to 15% of the juice is drained off in order to concentrate the flavours in the eventual wine. Fermentation then took place with regular pump over cycles in combination with compressed air. After pressing the wine was taken to a combination of new and second fill tight grain, medium toasted, French oak barrels. The wine was then prepared for bottling. From a Burgundy shaped bottled, closed under natural cork. The label, a beautiful design by Theo Vorster. In the glass, a deep blood plum at the heart which pales out to a gem bright ruby garnet. 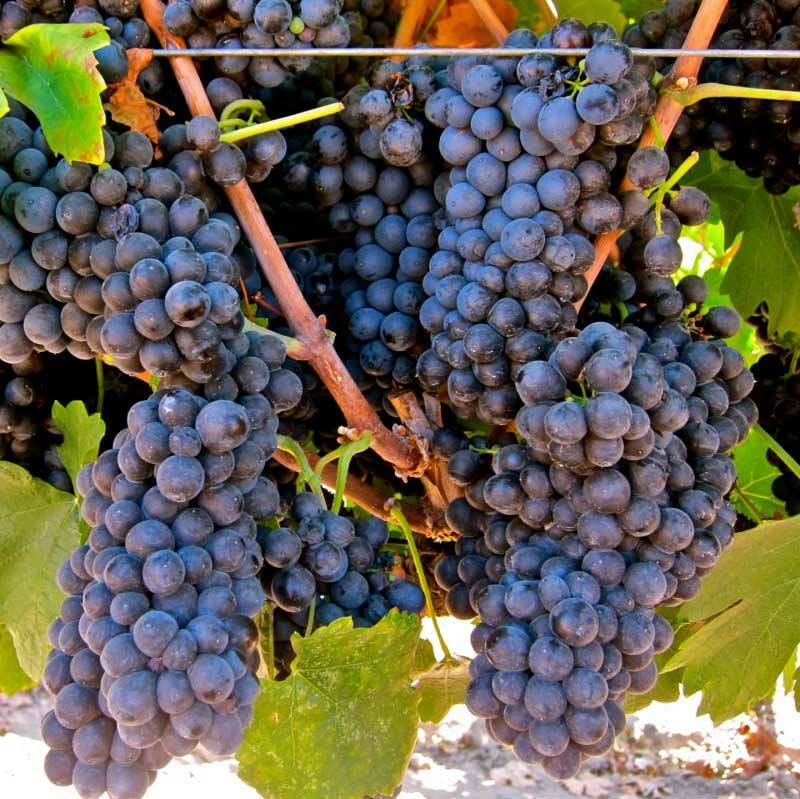 The aromas are classic Pinotage, plums and soft dried prunes. Red berries from the Pinot Noir parent, and then oak and its concomitant spices. The flavours are of tight yet accessible tannins, with the plums and prunes repeated and black cherries and berries in the long and gently waning aftertaste. I think that this is a wine which needs food and does so well with the classical South African Dishes like Tomato Bredie, boerewors and Bobotie. 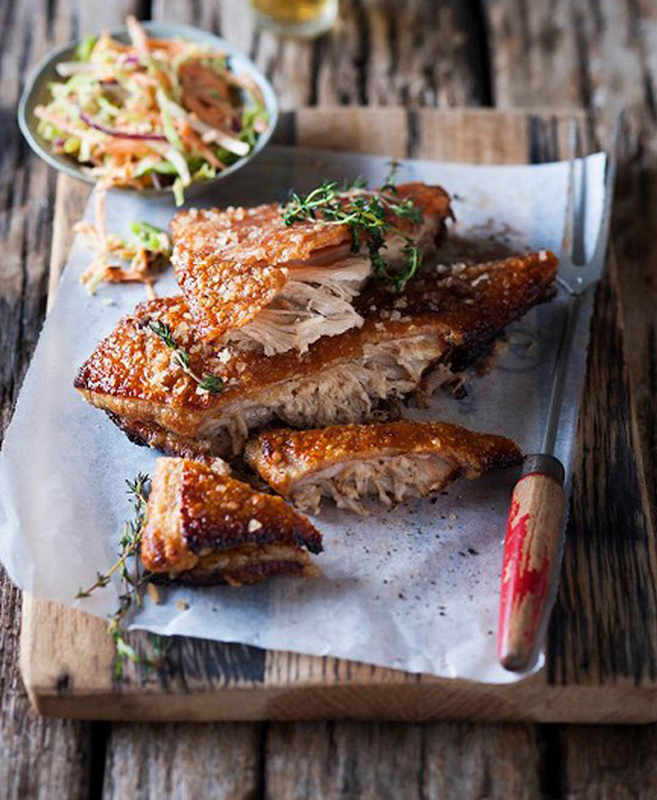 Tracy Foulkes, Director of Nomu Foods and source of all their wonderful food products has a fabulous dish which is the perfect partner to the Durbanville Hills Collector’s Reserve The Promenade Pinotage 2016, Tracy Foulkes’s Pulled Pork Belly with Spicy Coleslaw.